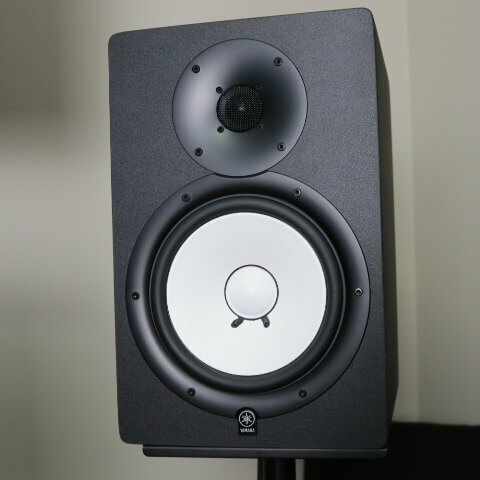 The goal of a reference monitor speaker for the home studio is flat response. This means accurate mixes which translate into the real world. This also means you as the mixer save time by making the right adjustments the first time! But when buying consumer headphones and speakers, companies tweak certain frequencies (either boost or cut), such as the bass, mids or highs, which enhance the user’s listen! But as a music producer, this is not what we want. We need accuracy from our speakers, and speakers that do not emphasis any frequencies. That’s where studio reference monitors come into play. They give us what is known as a flat response. Meaning these speakers try not to enhance certain frequencies, allowing us to mix accurately. 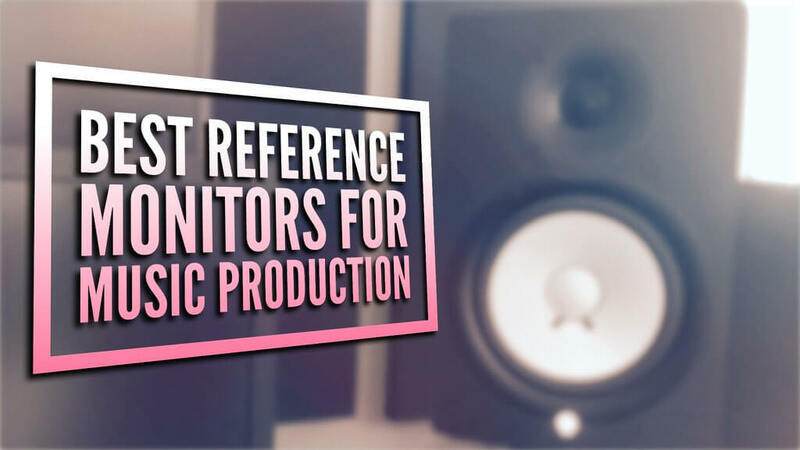 In this write-up I want to share with you the best studio reference monitors you can buy for music production, which are still affordable to those starting up. 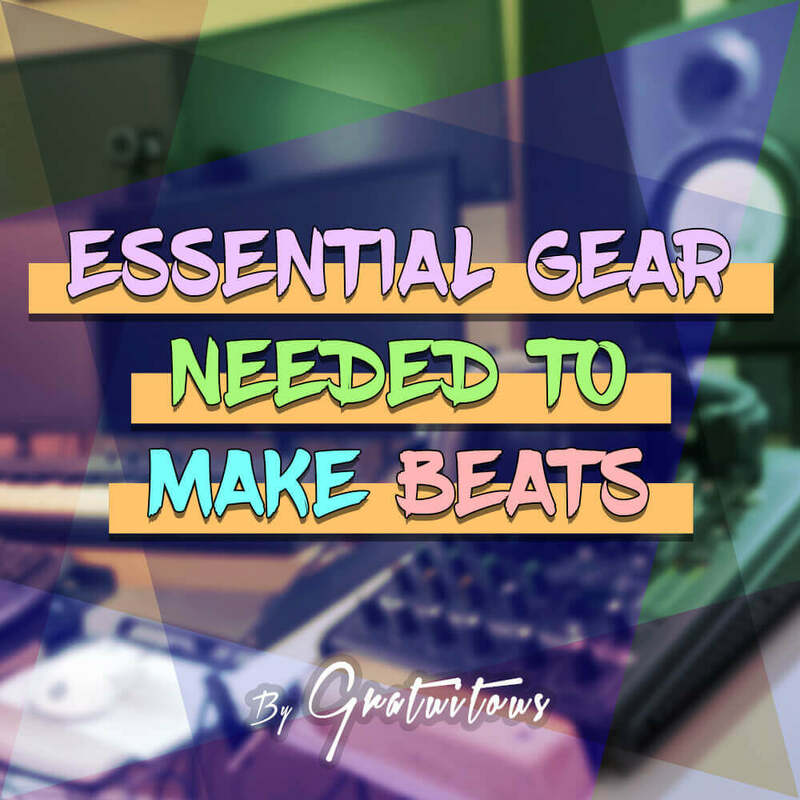 This gear is aimed at the amateur home studio producer who is wanting great results which compete with professional commercial releases. I currently have the Yamaha HS80m’s. In my years of owning them, I’ve been quite happy with them. My mixes translate quite well to the real world! I prefer to go for a larger speaker since I make bass heavy music. 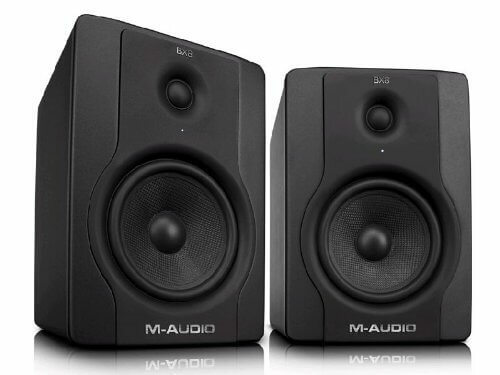 I once had a pair of M-Audio Bx5a Deluxe speakers, and the 5″ woofer was just too light on the bass! So in my case, I ended up buying a subwoofer, which was the M-Audio SBX10. I still have the sub in use with my Yamaha HS80m’s! I find this to be a great combo so I can hear the whole spectrum of my mix! Notice that when viewing the Yamaha’s, the price is only for a single speaker. The other speakers are typically a pair for the price. 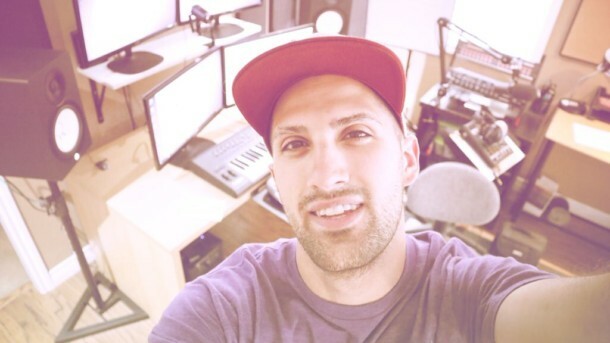 You will always see the KRK brand in tons of YouTube producer videos! 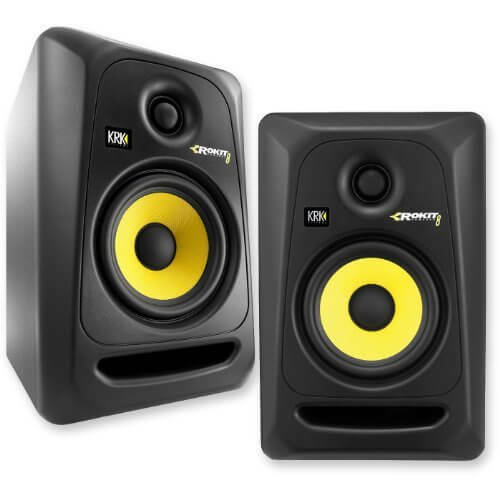 These speakers always stand out for their yellow colored woofer cones! I’ve never personally owned or heard them myself, but they seem to be a great entry level speaker. Again, I only had the Bx5a version (5″ speaker and first generation of these speakers), but they were awesome to get my feet wet in the industry, learning how all the gear sets up, and it is an upgrade from standard computer speakers! Speaker Size – Do you want a 5″ or a 8″ woofer? Active vs. Passive Speakers – Active speakers are waaaaay more convenient! Room Type and Acoustics – Speakers will sound different depending on the type of room you’re in! My first set of studio reference monitors were only 5″ woofers. When making my first speaker purchase, I was so excited waiting for them to ship! The day I received them, I opened them up, and was so impressed with how they looked. They gave my studio such a professional look with their clean looking studio cabinet! After plugging everything in and listening to one of my tracks.. I was so disappointed. What do I mean.. disappointed? These 5″ speakers lacked so much low-end, I could barely hear any bass on my kick drums and bass lines! It left me having to buy a sub woofer to hear the low-end. This was a good compromise. I was able to hear a more accurate representation of my mids and highs because of the studio reference monitors, and the subwoofer filled in the gap for the low-end. I’m telling you this story, because I personally recommend an 8″ speaker if you are creating dance, hip-hop, or even pop-type music. You may be able to get away without a subwoofer, however, I personally like one as it does make mixing more enjoyable to hear the whole frequency spectrum. With a passive speaker, you will have to buy a separate amp in addition to your speakers. With an active speaker, the amp is built into the speaker itself. All you have to do is plug in your speaker cable and power cable, and you’re on your way. The speakers I recommend below are all active because of the convenience they add to our life! Every speaker sounds different, especially in the type of room the speaker is listened to in. This makes it hard to tell you the right speaker to buy.. The frequency graphs companies slap on the back of their speaker boxes shows what the speaker should sound like, but this is not a reliable source! So.. are we just left to reviews of the speaker them self? But the type of room you listen to your speakers in is very important. If your room is very echoy, this makes it hard to get an accurate mix because your room is tricking you into thinking the song sounds a certain way when it really doesn’t! That’s where acoustic treatment comes into play. Expensive speakers in a poorly treated room is worse than average speakers in a well-treated room. This means that the room you listen to your speakers in is very important. We will go over speakers in just a moment. I just want to prepare your mind for smart buying of speakers! Speaker technology has become much better than what it was back in the day. With that said, even a $300 pair of speakers will give you reasonable results! These type of speakers vary in price from affordable to pro-level, as you can imagine! I suggest an 8″ woofer which allows you to monitor your low end better if you create beats. If your price-point doesn’t not allow you to get 8″ speakers, that’s okay! 5″ speakers will get you going, but in my opinion, there wasn’t enough low-end for me to really hear what was going on inside my mix. So that’s my suggestions for you when picking out a studio speaker. Now, if you want to learn how to set up these speakers, you will need an audio interface, as well as some speaker cables!